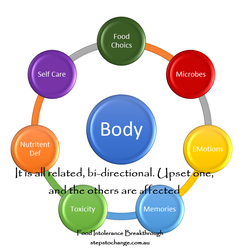 Reclaim ME2 - OUR BODY CONSTANTLY TALKS TO US. WHAT IS YOURS TELLING YOU? OUR BODY CONSTANTLY TALKS TO US. WHAT IS YOURS TELLING YOU? Ready to start? Jump in and lets rock this! To be sure you are locked in to tailor the information to you throughout the journey, book in your consultations in advance. It is easier to change them. EFT or Tapping is just one of the tools used to help release the energy on thoughts, beliefs and memories no longer serving you. Each session is tailored to the parts that have been coming up for you. This contains the starting principles to create change. Where are you in life at the moment? Click 'GETTING STARTED' takes you to the introduction of the program. You will need to set your a password on this page. MEDICAL DISCLAIMER: Any significant health change takes time to heal. Quick changes are possible, but not the norm. Please be prepared to allow the process time to transform, heal and calibrate over time and not overnight. The contents of this website are for informational purposes only and are not intended to be a substitute for professional medical advice, diagnosis, or treatment. Always seek the advice of your physician or other qualified health provider with any questions you may have regarding a medical condition.